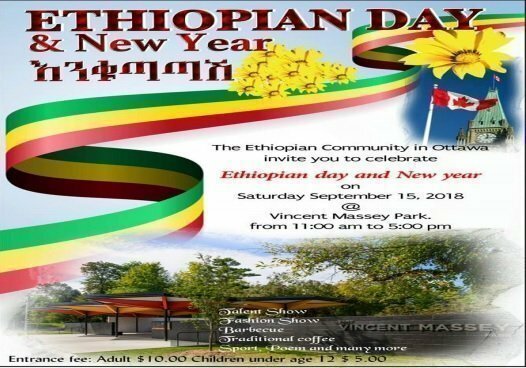 The Ethiopian Community in Ottawa has been organizing a get together during summer. This year We have planned to celebrate it as Ethiopian Day. The event will feature cultural and social activities, among other things. We call up on Ethiopians in Ottawa to come out with their families and celebrate it together. When: September 15,2018 11 a.m. -6 p.m.